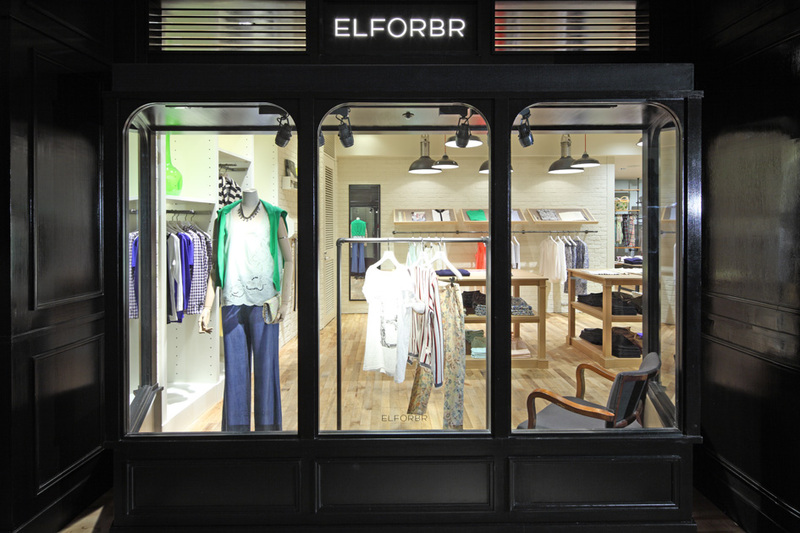 Jamo designed the first store for the new women’s brand “ELFORBR”, part of the Sazaby League family of brands. 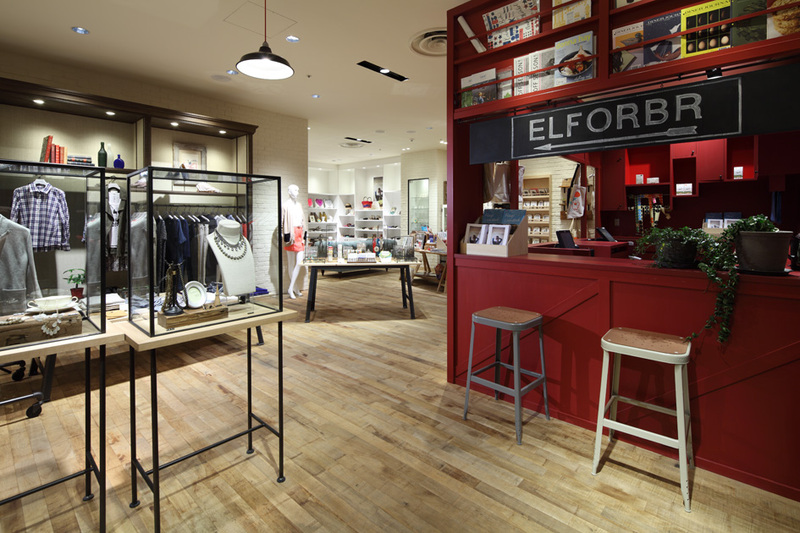 The store opened in March 2013 in the “Flags” shopping center in Shinjuku. 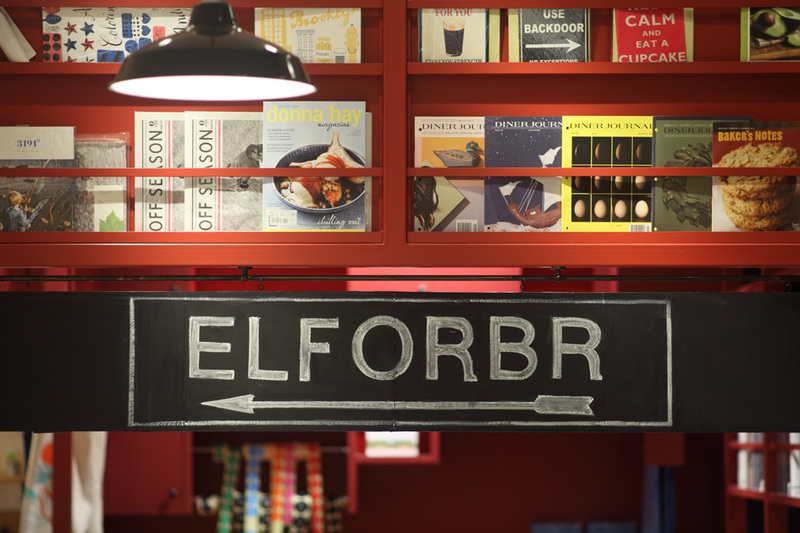 ELFORBR is aimed at young women in their 30s or late 20s and describes itself as offering “effortlessly traditional” clothing. 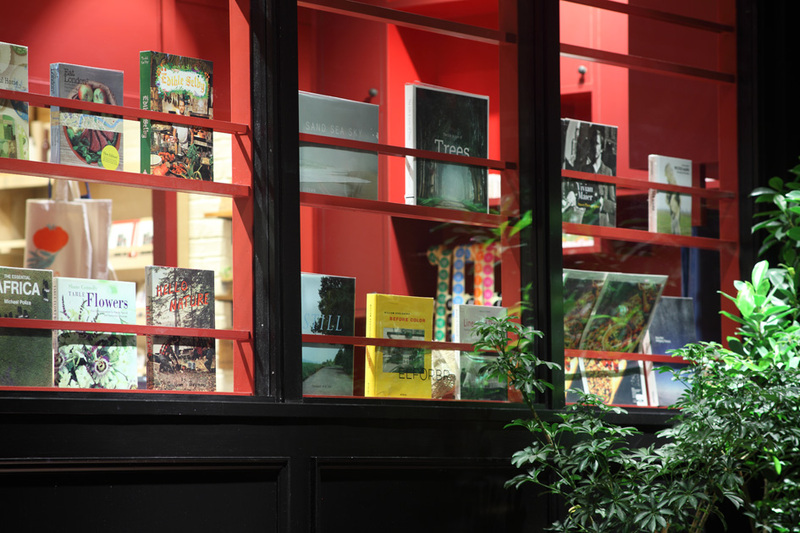 It imagines its clothing worn by a woman born in London and now working in New York and living in Brooklyn. 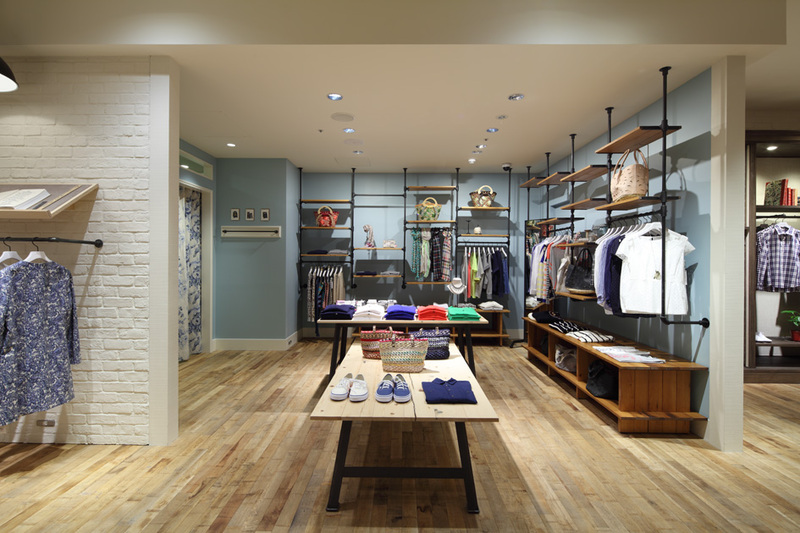 As an expression of the brand’s aesthetic, Jamo anchors the interior with a red kiosk. 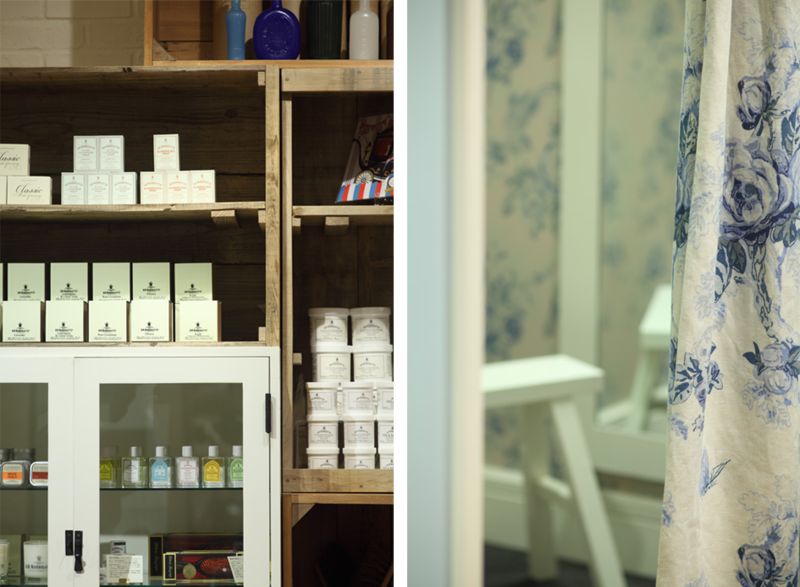 Adding a different element on a bold classic British style, the space gives strong visual effect and also draws people into the store. 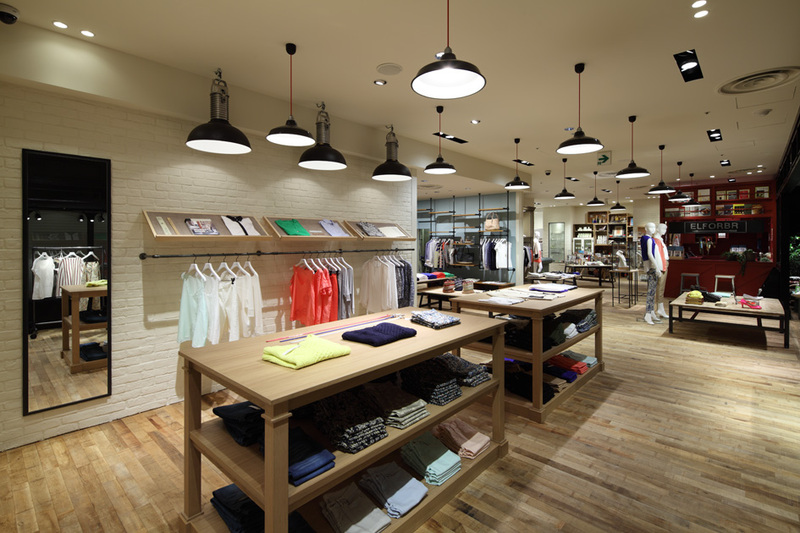 While there’s an overall coherence to the interior, with the design rounded out with wood flooring and hanging lamps, it also offers diverse areas to explore, with six differently themed product areas. 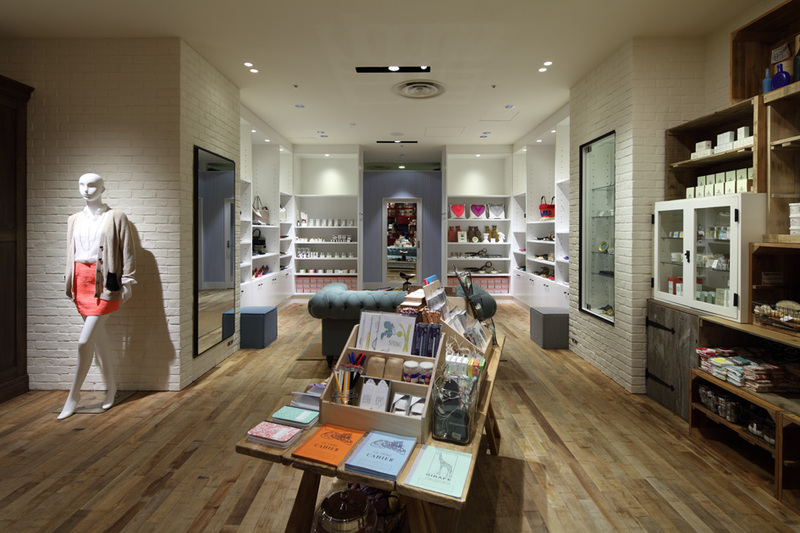 Jamo’s interior stylist Chinatsu Kambayashi also helped as a buyer for the various lifestyle items.